Because eating toast every day gets boring. It's no secret cuisines around the world love eating bread (bread and cheese, to be exact), and with so many types of bread out there, it only makes sense to try them all. Now baking bread is not a simple task: it takes detail, patience and time. But don't let this discourage you — even if you don't have a bread machine. This one simple recipe, using a cast iron skillet, is a great introduction to baking your own bread at home. Once you master this, you can get creative with your toppings and fillings. And since bread comes in all different types of sizes, shapes and textures, it's probably a good idea to start experimenting ahead before the holiday season... also, who can say no to freshly baked bread? 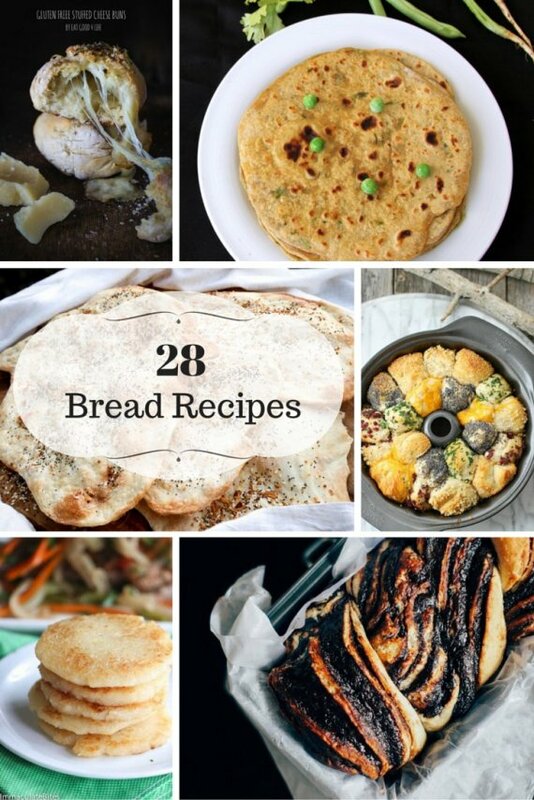 Below are 28 of our favourite ways to eat bread, from sweet loaves to crispy flatbreads to fluffy pita. We've even added some gluten-free options as well. Let us know your favourite type of bread in the comments below.